MMP comes in three different packages. Pick the one that's best for you! Team license for up to 10 people. Includes a full, no-questions-asked 90 day guarantee. That depends on your budget. I strongly suggest the Complete Package because the code is very helpful for understanding the book. That said, the Basic Package has a ton of value all by itself. Absolutely! Just reply to your confirmation email that you'd like to upgrade and I'll set it up for you. Stripe and Rails both move fast. As they do, I send out periodic updates to the book and the sample application. No problem. Just send the amount that corresponds to the version you want to paypal@petekeen.net. What versions does the book cover? The book uses Rails 4.2.4, Ruby 2.2.3, and Stripe 1.26.0. You can email me at hi@petekeen.net or tweet to @modernpayments. What if I get nothing out of this? The current version of the guide is the product of over a year of editing and conversations with dozens of developers just like you. If you're a Rails developer integrating Stripe, this is the guide for you. 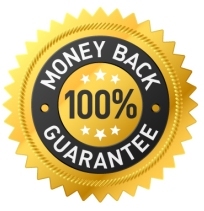 That said, if you feel like you haven't gotten your money's worth, simply send me an email for a full 100% money back guarantee.